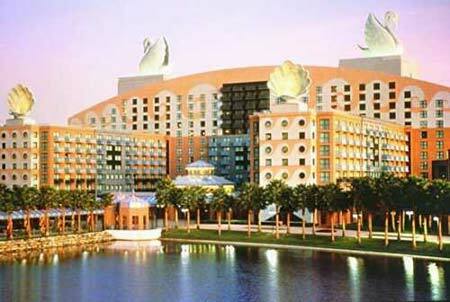 Disney World Swan This resort puts you in the center of the most magical place in the world. This exciting hotel complex offers everything you've come to expect from a world-class resort. An exciting location, beautiful accommodations, pampered service, it's all right here. ©1999-2008 DisneyOrlandoHotels.com. Walt Disney World® is a registered trademark of the Walt Disney Company.